Nack J. Kim received the degrees of BS (1975) and MS (1977) in Metallurgical Engineering from Seoul National University, Korea and PhD (1981) in Materials Science from University of California, Berkeley, USA. From 1981 he worked at Lawrence Berkeley National Laboratory, University of Wyoming, and Allied-Signal Inc. (presently Honeywell) in USA. In 1989 he returned to Korea to join the faculty of materials science and engineering at Pohang University of Science and Technology (POSTECH). He founded the Center for Advanced Aerospace Materials, Center of Excellence supported by the Korea Ministry of Science and Technology. In 2009, he moved to Graduate Institute of Ferrous Technology at POSTECH, where he served as a dean until 2012. His major research interests have been in the physical metallurgy and development of structural alloys including steels, Mg alloys and Al alloys. He has published over 300 papers in referred journals and edited 19 books along with more than 50 patents. He served as a president of Korean Institute of Metals and Materials as well as a president of Korean Federation of Materials Societies in 2009. He is a fellow of ASM International, Korea Academy of Science and Technology, and POSTECH. 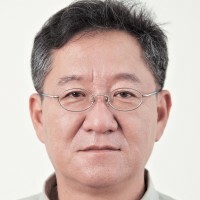 His work has been recognized by numerous awards, including John E. Dorn Achievement Award of ASM (1982), I-R 100 of Research & Development Magazine (1987), citation by Prime Minister of Korea (1999 & 2005), Academic Achievement Award of Korean Institute of Metals and Materials (2000), Young Engineer Award of Korea National Academy of Engineering (2003), Gold Medal of IENA (Germany) (2006), and Vanadium Award of Institute of Materials, Minerals and Mining (UK) (2008). Prior to his appointment as an editor of Scripta Materialia in 2012, he served as editorial board members of several journals, including a board of review of Metallurgical Transactions A, an associate editor of Acta Metallurgica et Materialia, an international board member of Intermetallics, and an editor-in-chief of the Metals and Materials International.